The Empire of Nicaea. 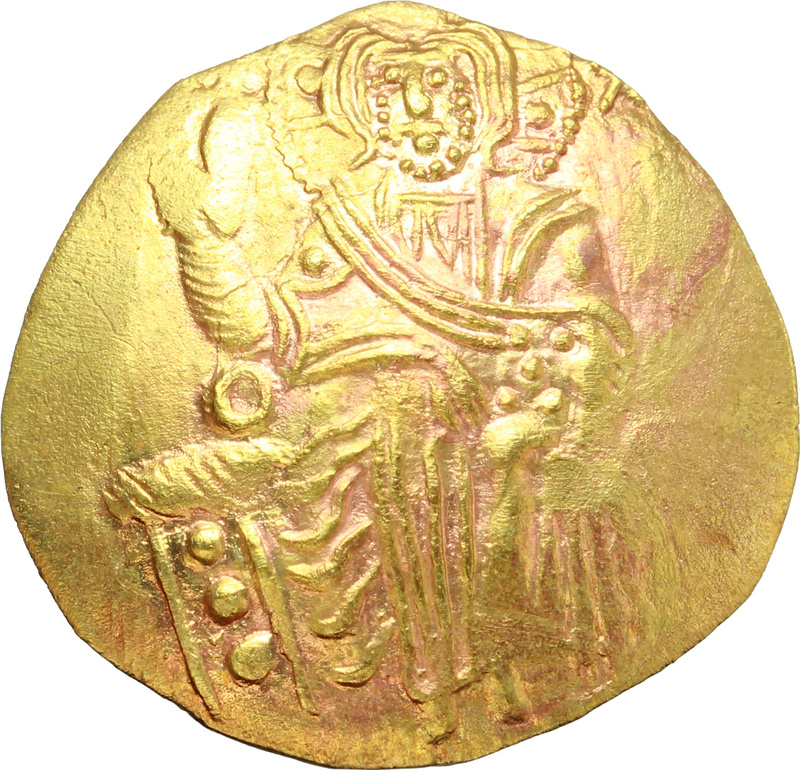 John III Ducas (1221-1254). AV Hyperpyron, Magnesia, circa 1232-1254. Obv. Christ seated facing upon throne without back, bearded and nimbate, wearing colobium over chiton, hand raised in benediction, holding Gospels in left; IC and XC in field above left and right. Rev. 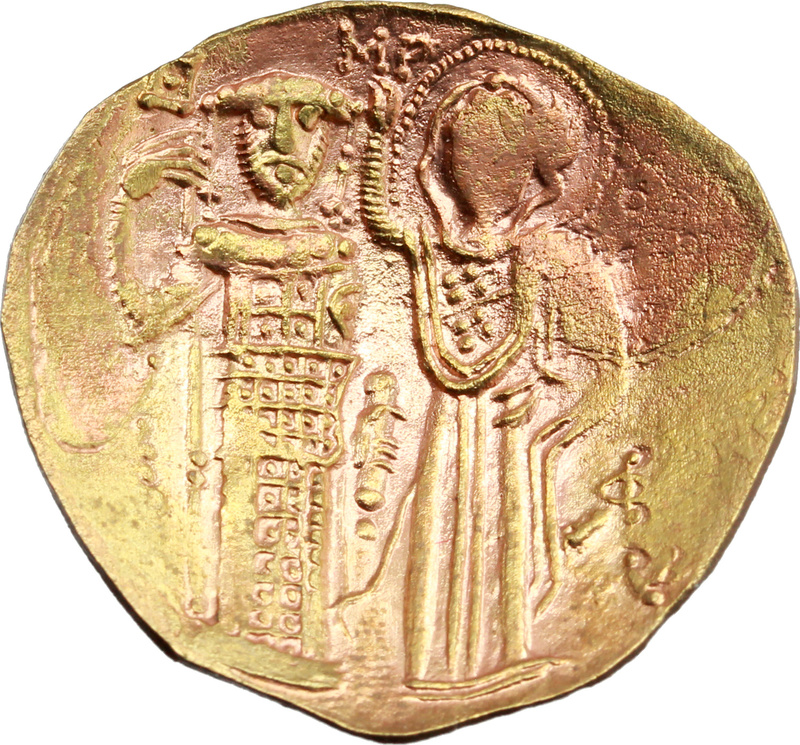 Standing facing figures of John, wearing stemma with pendilia, loros and divitision, holding labarum and akakia, and crowning the emperor, the Theotokos, nimbate, wearing maphorium over chiton. D.O. 6. Sear 2073. AV. g. 2.89 mm. 24.50 Weakness, otherwise EF. Do you need help? Contact us now! Books must be sent separately from coins. Shipping costs depends on books weight.